This All-inclusive Guide On Bratislava Castle Is The Only One You’ll Need! The capital of Slovakia, Bratislava lies on the side of River Danube. Bratislava has had quite a history, full of battles and of rulers being dethroned due to high-intensity battles. 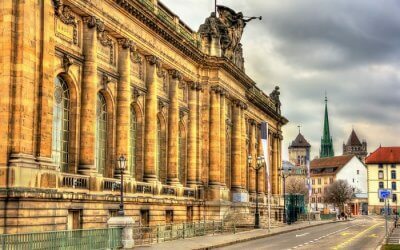 One of the main reasons for these battles was also the constant battle between the European superpowers and the Austro-Hungarian powers to capture this beautiful territory. 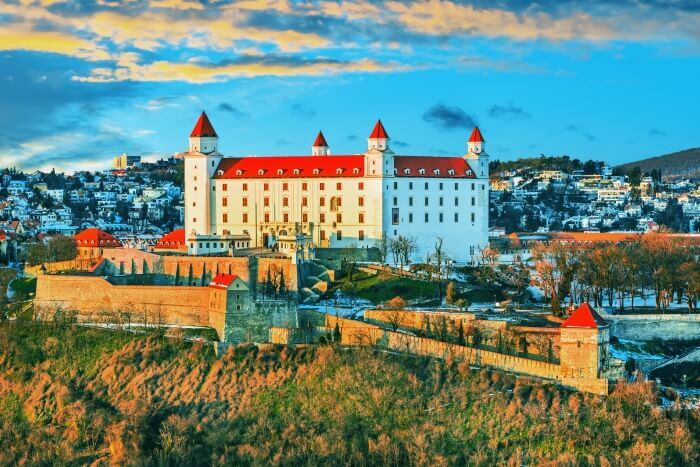 On the hilltop in Bratislava, sits the noble Bratislava Castle which overlooks the entire region and gives tourists a chance to go back in time to relive the battles that Bratislava has braved. Lying very close to the border of Austria and Hungary, Bratislava still shows some signs of its history, making tourists revisit the region’s past. Apart from its history, Bratislava also has vineyards in abundance and is lined with the Little Carpathian mountains, one of the best places for hikers and trekkers. The Bratislava Castle is seated on a small hill above the old town of Bratislava. Bratislava castle Opening hours: In the winter season (from 1 November to 31 March), the castle remains open from 9 am to 5 pm from Tuesdays to Sundays. In the summer season (from 1 April to 31 October), the castle remains open from 10 am to 6 pm from Tuesdays to Sundays. 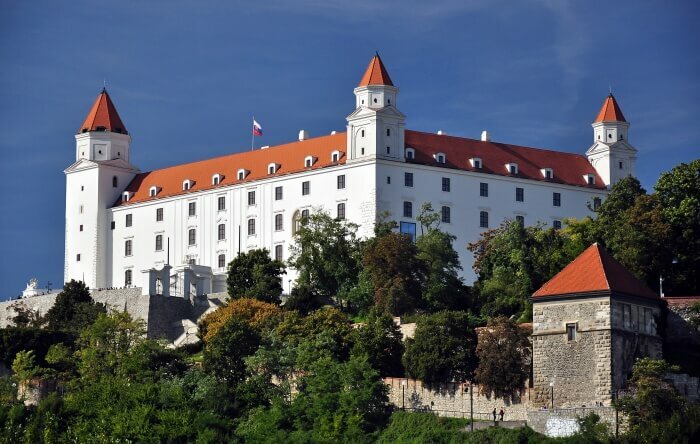 Bratislava castle entrance fee: Basic admission would cost about INR 811/-. However, every first Sunday of each month, they give a free entry. The Bratislava Castle dominates Bratislava and is a four-wing palace, including the corner tower which is now called the Crown Tower. 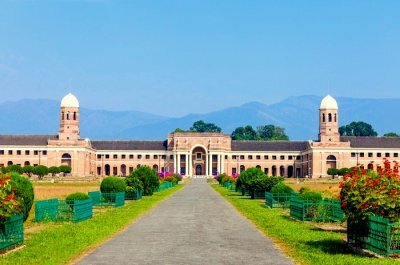 The courtyard of the palace gives visitors a chance to explore the underground areas as well as the cistern and the water well. The Eastern terrace of the palace is home to the illustrative imitations of the Church of St. Saviour and the Great Moravia Basilica, both structures that date back to the 11th century. When you walk through the park, you would also get a chance to see all of Bratislava and even the statue of Saint Elizabeth. 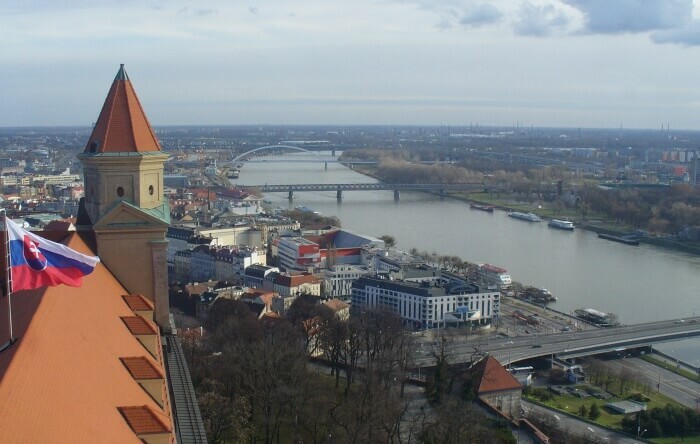 If you want the best views of Bratislava, you must head to the Crown Tower, the oldest part of the castle. The castle hill was first inhabited by the Celts, who had found the fortified settlement here, called Oppidum. Then, for about four centuries, the Roman Empire ran through the area of Bratislava after which, during the reign of the Great Moravian Empire, the Slavs erected a fortress that came to be a very important center of that time. With the coming of the 10th century, Bratislava became an indispensable part of the rapidly growing Hungarian state. In the 11th century, a stone palace and the church of St. Saviour were constructed on this already popular castle hill. Finally, in the 15th century, during the reign of Sigismund of Luxembourg, the Bratislava castle, inspired by the Gothic style of architecture, was built. After the castle was completely built, the castle well was dug and even the 7-meter thick fortification walls were added to the castle. As King Ferdinand overtook the throne in the 16th century, he ordered that the castle must be rebuilt in the Renaissance style which was again broken down and built in the baroque style of architecture by the hereditary provincial chief, Palffy in the 17th century. The Bratislava Castle has lived through some of the toughest times and has been one of the most important fortifications during wars. It has been built and rebuilt over centuries and that is exactly why this castle is the architectural masterpiece that it is! The Museum of History in the Bratislava Castle is also known as the Slovak National Museum. This museum displays collections that show the gradual stages of social development in Slovakia, right from the Middle Ages to the current times. The museum also gives you a chance to learn more about the lives of the Slovak locals. Some of the permanent exhibitions that you will see here are The Witness of the Past, The Castle Gallery, Music Hall, Bratislava Castle on The Prints, and How the Time was Measured exhibition. Don’t forget to visit the exhibition held under the castle’s courtyard, called History and Future of Bratislava Castle, which will take you the eventful history of the Castle. Where? The Museum of History is located at the Bratislava Castle, on the Castle Hill. Museum Timings: The museum remains open from 10 am to 6 pm from Tuesdays to Sundays. However, check the timings and whether the exhibitions are open before you visit. From the second floor of the Museum of History, you will be able to see a mysterious flight of stairs, these stairs will take you through a secret tunnel that leads you to the Crown Tower. At first glance, it looks like an obscure, narrow route with a mirror floor but as you start going downstairs, you will see a pathway that leads you to the tower. These tiny pathways will lead you to a room of the Crown Tower where you can find the best views of the entire city! From one side of the tower, you will be able to see the Kamzik Tower that is located at Koliba. Another part of the room offers views of the scenic River Danube and Austria while the other windows in this room give you a chance to see the UFO tower and the newly built bridge in Bratislava. With all the walking around and exploring, you would definitely have rats running in your tummies. 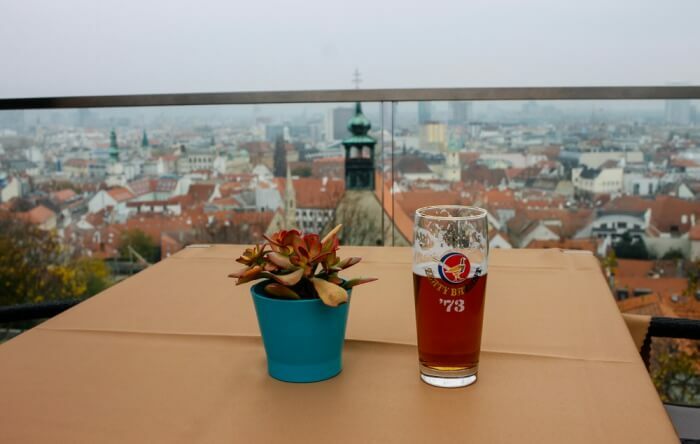 The restaurant at the Bratislava Castle is called Hradna Hviezda, a little tricky to pronounce but surely worth a visit! The interiors of the restaurant are done up very well, with white tablecloths, lit candles, larger-than-life chandeliers hanging over your head and cozy wooden furniture. We suggest you order the deer goulash which is served with a homemade bread-roll dumpling with a side of seasoned orange slices, the pork tenderloin stuffed with bacon served with a side of fried potatoes, onions topped with some yummy garlic dressing, the grilled zander with peas and a mint puree. For dessert, you can order the Slovak special- domace sulance with poppy seeds and butter (dumplings) or go for the chocolate and almond cake served with fruits and whipped cream. 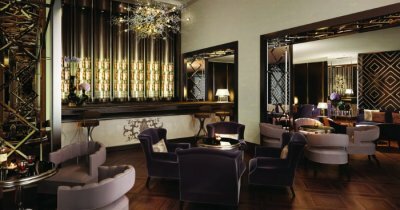 They also have a seasonal menu that changes with the different ingredients and their availability. 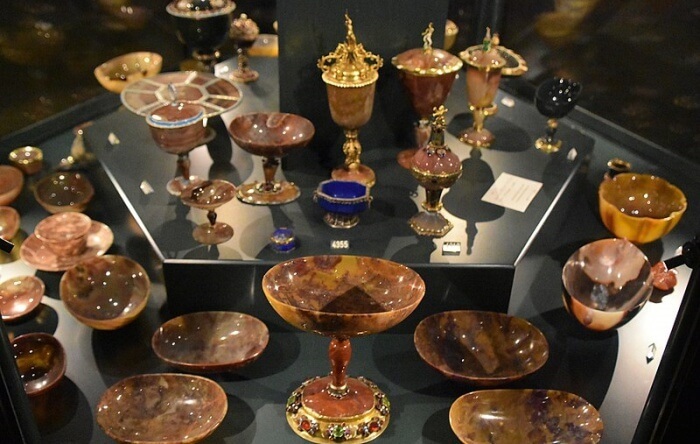 One of the most attractive things at the castle is this treasury, consisting of the collection funds at this treasury are the works of the goldsmiths and silversmiths of the olden eras. This has to be on your to-do list if you have a liking towards the ornaments and craft style of the olden times. The ornamental designs reflect the style orientations, aesthetic requirements, artistic skills and even the craftsmanship of the different eras that they belonged to. When you have a look at these ornaments, you will realize the affluence of the rulers and even the amount of labor that went into creating these pieces of art. Where? The Treasury is situated under the main gate, on the left side of the Bratislava Castle. 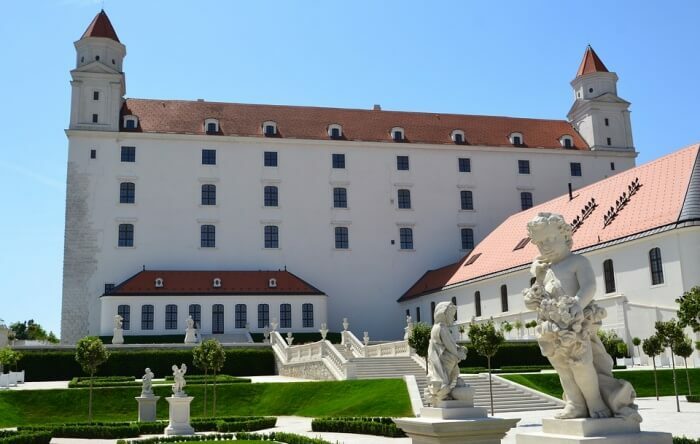 Certain parts of the Bratislava Castle that were accessible by the public have undergone renovations in the year 2008 and were rebuilt in a classic Renaissance style. 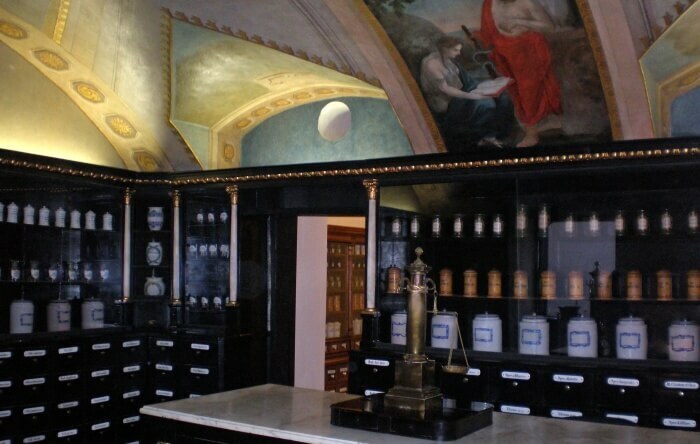 However, you would still find traces of the Great Moravia Basilica when you walk through the park of the castle. 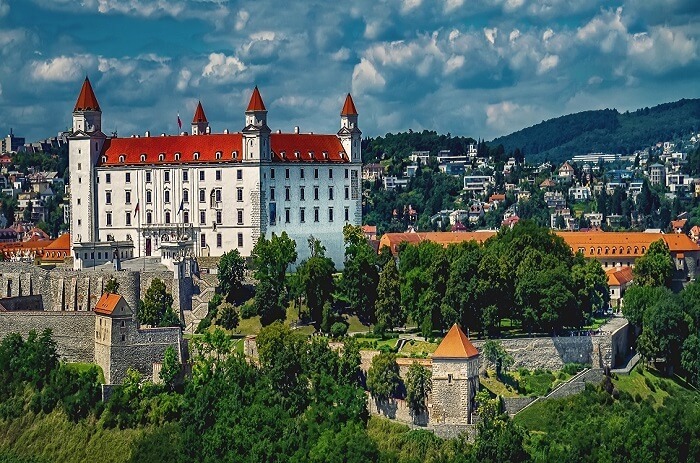 So, when are you booking your tickets to Europe to explore the architecture, the museums and the history of the Bratislava Castle in Slovenia? Contact TravelTriangle, now!